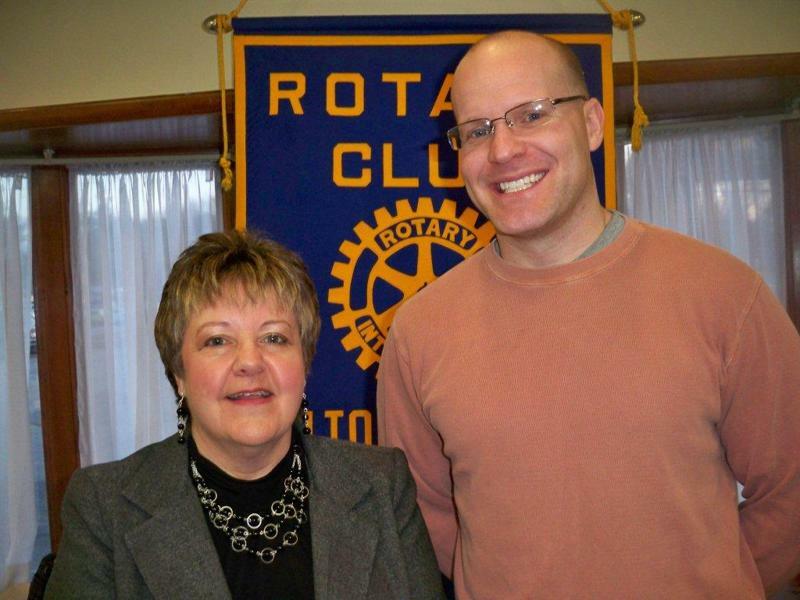 At a recent Fulton Sunrise Rotary meeting, Jane Murphy, Executive Director of Literacy Volunteers of Oswego County, presented a program about the organization which help people learn reading, writing and other life skills. Over 17,000 people in Oswego County, which is 20 percent of the adult population, cannot read above the 5th grade level. Eighty-four percent of all Literacy Volunteer clients fall between the ages of 19 and 59. There is a need for Literacy Volunteer tutors, who must be 18 years or older, have two hours a week to volunteer and enjoy making a difference in someone's life. Please call 342-8839 for more information. Also pictured is Rotarian Mike DeLorme. The Fulton Sunrise Rotary meets every Friday at 7 AM at Fulton's Riverside Inn.